The Weekend Gourmet: Culinaria San Antonio to Hold Inaugural Winter Restaurant Week January 19 - 24! Culinaria San Antonio to Hold Inaugural Winter Restaurant Week January 19 - 24! The San Antonio restaurant scene has literally exploded over the past 2-3 years...it's been such fun to see so many great new restaurants popping up all over the city! Culinaria is San Antonio’s premier food and drink non-profit. Their goal is to celebrate, educate, and collaborate with local chefs, winemakers, and bartenders to support the city’s food and drink culture. To help expand San Antonio's culinary reputation on both the regional and national level, Culinaria coordinates and hosts elegant wine dinners, extravagant cocktail tastings, and fun food and wine events throughout the year. They're kicking off 2015 with their first ever Winter San Antonio Restaurant Week January 19th through 24th!! Restaurant Week will highlight many of the best local chefs and restaurants. Summer Restaurant Week is held annually in August and is one of the city's culinary highlights. I know the Winter edition will be very popular as well. 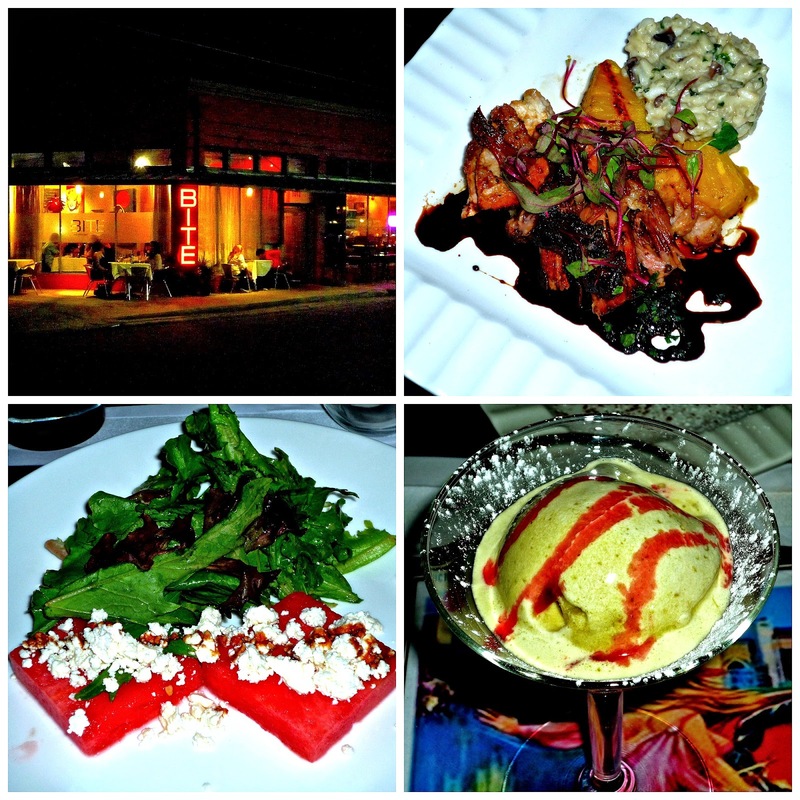 August 2014 -- We enjoyed a three-course gourmet dinner at Bite during Restaurant Week! Tier 1 establishments will offer a $15 three-course lunch menu and a $35 three-course dinner menu. Tier 2 establishments will offer a $10 three-course lunch menu and a $25 three-course dinner menu. Reservations are not required, but they are encourage; contact each participating restaurant directly to make reservations. For a complete list of participating restaurants and their Restaurant Week lunch and dinner menus, visit the Restaurant Week website. Also be sure to follow Culinaria on Twitter to learn more about their #eatdrinkgive campaign and events. I'm very excited to share that The Weekend Gourmet will be taking part in next week's Restaurant Week festivities for this month's The Weekend Gourmet Dines Out feature. Disclosure: The Weekend Gourmet will be partnering with Culinaria to provide media coverage during Restaurant Week. To facilitate coverage, Culinaria is providing us complimentary meal vouchers to participating restaurants. Culinaria is an independent not-for-profit organization committed to promoting San Antonio as a premier wine and food destination while fostering community growth and enrichment. Culinaria is a registered 501 c (3) tax-exempt organization. There is a valued volunteer board of directors who represent the community and guide the organization in its mission.